DISA teams kick it a recent tourneys! DISA U14 Celtics - Finalists Left to right: Cole Yarbrough, Nate Heineck, Joseph Wenger, Luke Evans, Brady Coupe, Kofi Ayiku, Whit Taylor, Jake Rook, Turner Orvin, Luke Decker, Brogdon Galloway, Tucker Sprofera, Riley Beard, Zach Smear, Nolan Ramirez and Coach Justin Barlotta. DISA U13 United – Finalists Front row (left to right): Anders King, Ben Patrick, Charlie Olson, Nicholas Brunetti, Quinn McDougall, Ty Ryan, Hudson Davis, Evan Williams. Back row: Dillon Snelgrove, Mateau Bordas, Bryce Franko, Jack Bergren, Nic Marin, Coach Erik Cobb, Jack Graham, Henry Humphreys, Zach Mullen and Daniel DeVries. DISA U11 Dortmund - Champions Front row (left to right): Sam Pelsnik, Sebastian Alexander, Riley White, Zach Muller, Burton Sloan, Robby Ryan, Sean Herndon and Andrew Rogers. Back row: Coach Robert Nosakhare, Miles Surratt, Lars Meeker, Pierce Johnson, Reed Swanson and Corbin Driggers. DISA U14 Gators, before their semi-final match at the S.C. Youth Soccer President’s State Cup in Greenville. Top row: Gabby Hylton , Marley Walker, Cecilia Ollis, Jennifer Szlosek, Emma Darnell, Grace Herman, Claire Esse, Stephanie Kirk, Morgan Davis and Coach Andrew Kirk. Bottom Row: Meredith McDonald, Bianca Olivetti, Carly Becvinovski, Makayla Brunetti, Avery Darr, Emily Scarth and Morgan Ramsey. The Gators’ defensive players (left to right): Meredith McDonald, Gabby Hylton, Cecilia Ollis, Emma Darnell, Morgan Davis and Morgan Ramsey. The Gators’ midfielders and forwards (left to right - top row): Stephanie Kirk, Grace Herman, Jennifer Szlosek and Claire Esse. Bottom row: Carly Becvinovski, Emily Scarth, Avery Darr and Makayla Brunetti. 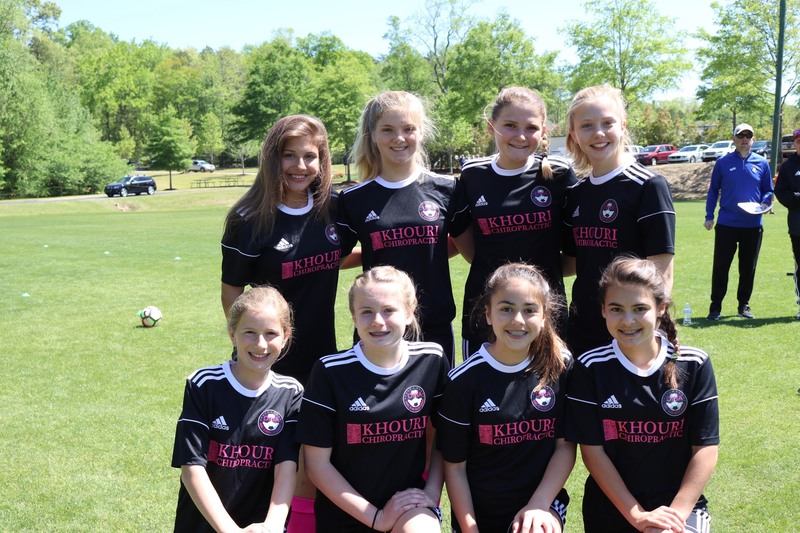 The Daniel Island Soccer Academy (DISA) U11 Dortmund team ended the Charlotte United Cup Soccer Tournament as champions the weekend of April 14-15, while two other DISA teams, U13 United and U14 Celtics, made it the finals. Earning a strong semifinal finish was DISA’s U13 Ajax team. 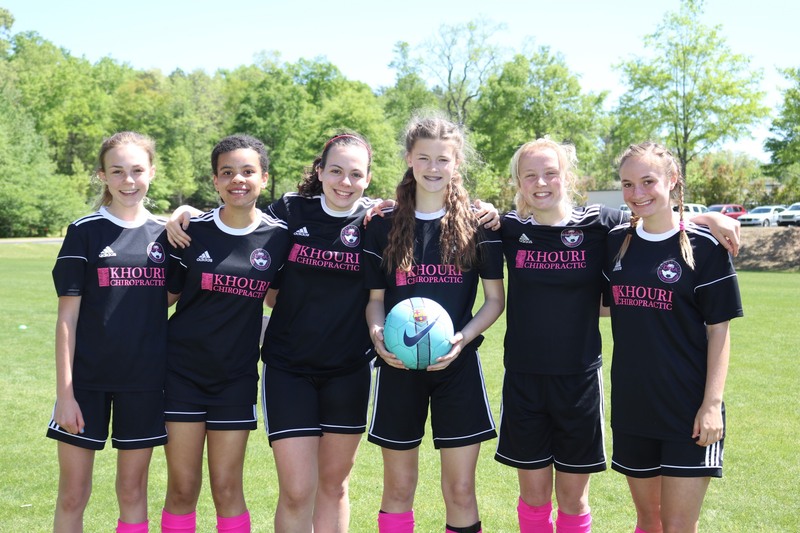 Ajax went on to score a championship win at the Open State Cup in Columbia on April 28. 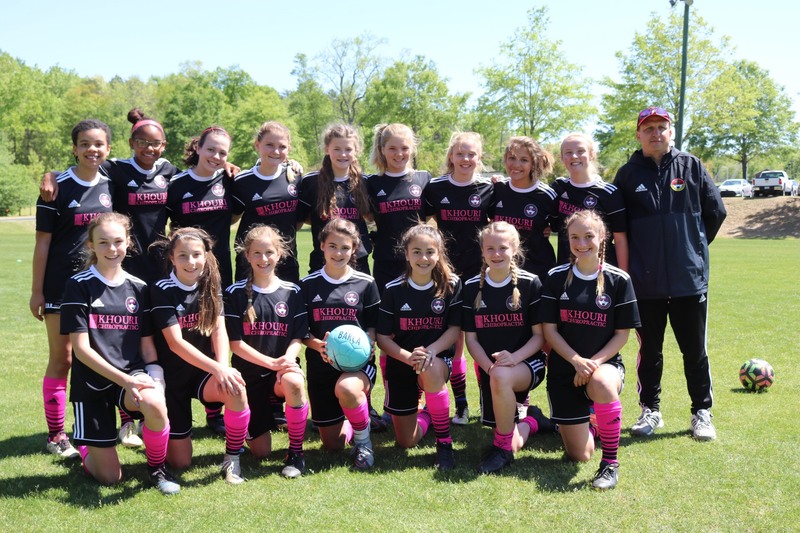 The DISA U14 Gators, with just one regular season loss, qualified for the S.C. Youth Soccer President’s State Cup in Greenville, April 28-29. The girls went 2-1 in the tournament to finish second in their bracket. The Daniel Island Soccer Academy will hold evaluations for boys and girls ages 8-18 at Daniel Island Soccer Complex fields and Bishop England High School Track during May. Try-outs will also take place for boys and girls ages 13-18 for Classic and Challenge teams. Evaluation and tryout fee is $25. Walk-ups welcome and registration required online. Come learn the game the DISA way! For specific information on dates and times, call (843) 608-9071 or visit www.disacademy.org.